Our universities offer a wide variety of courses, from fundamental classic to the latest trending technology, and are included on the international ratings lists. Top schools produce top IT specialists and top IT specialists mean a major concentration of tech companies. As is common elsewhere, we study trends, stay current with fast-changing technology, and most of us read, write and speak English. Along with all this, we have gorgeous wilderness areas, with great hiking, skiing, etc. That’s why NTR located a major development office here. Additionally, one of Russia’s Special Economic Zones is located in Tomsk and our company is one of the residents. The specialty of the Tomsk Economic Zone is Technology and Development. I’m a native and proud of my hometown. 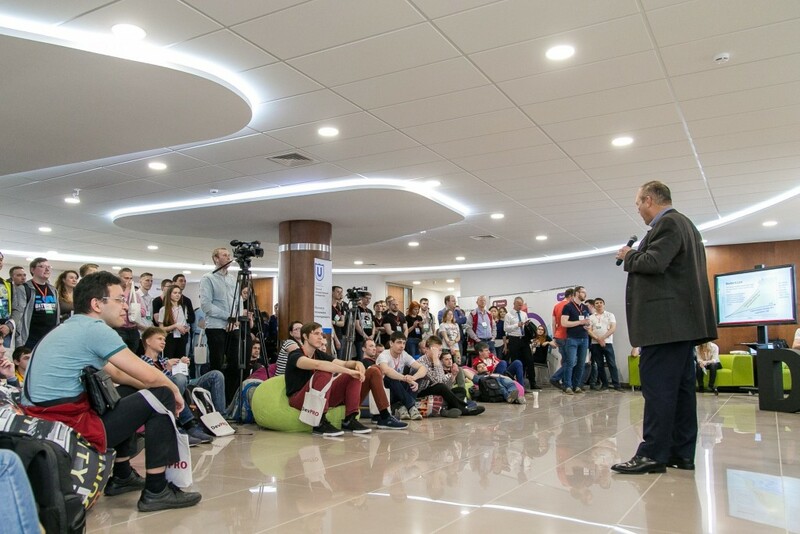 Back to the Conference, which was held at one of TSU’s (Tomsk State University) buildings. 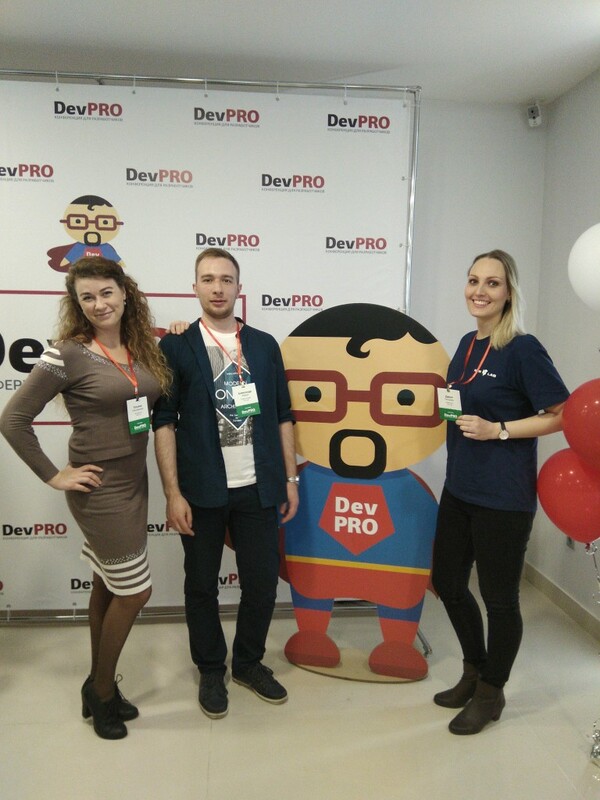 This was the sixth DevPRO’18 and it gets bigger every year. There were 700 attendees, 150 companies, and 30 speakers, including foreign speakers from the US, Netherlands and France. Mark Smith, Business Сonsultant at Bija Company (USA) opened the conference. NTR staff Mikhail Vurts, Sergey Karnauhov, Aleksandr Remkhe, Daria Petrova, Andrey Aleshkov, Viktor Aliev, Leonid Bulyga, Lyudmila Pavlova, Alexander Matveev, Boris Pakilla watching the opening ceremony. The conference had five sessions: Trends, Web, Enterprise, Management, and Mix. At Trends there were great talks, including AI, Machine learning, Neural Networks and development. PPT and recordings of talks will be available shortly at the Conference website. As at any conference, some of the best stuff happens during the breaks. It’s the time to check out the exhibitions and, most importantly, meet people, network and make connections. 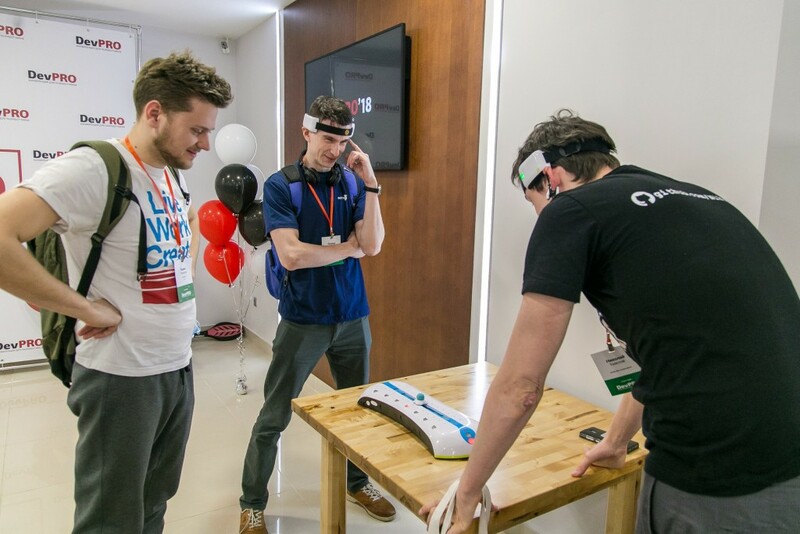 In the picture below our colleagues Leonid Bulyga and Boris Pakilla are taking part in activities. The device is called Mindball and it measures brain activity. Here they compete to see whose activity is higher. Leonid Bulyga, Drone Navigation Developer at NTR Lab: “To win it is necessary that the ball reaches the side of the opponent. Each has 3 indicators, one red circle is visible. This is the degree of brain activity. So our brain activity reached the top.” And our Leonid won! 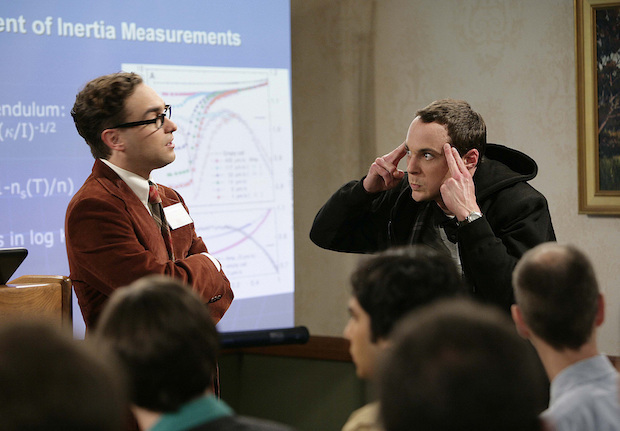 In a scene from The Big Bang Theory, Sheldon is trying to blow up Leonard’s brain. Leonid is a major fan, so he copied Sheldon’s move when he tried to blow up his Mindball opponent’s brain — and succeeded. Aleksandr Remkhe, Project Manager at NTR Lab, summed it up perfectly: “I’m delighted with the quality of the conference organization. Collect 700 people from the IT sector and from different cities. Invite experienced and bright speakers from several countries and highlight the most relevant topics. Take into account so many details — corporate identity, convenient and functional application for the conference and an excellent Siberian snack. The original completion of the official part — meeting with the directors of IT companies. And this is all in small, cozy Tomsk. From the speakers I want to mention Mark Smith. A professional in his field and an interesting speaker, listening to him is sheer pleasure. Justin Filmer and Daniel Doronkin shared live communication experiences in different time zones. Personally, I used that information on the next week. About meeting with IT company directors — it was very useful to learn from the top people in IT Tomsk, what they expect from their employees, what qualities they welcome and in what vector they expect development. This is annual conference. See you in Siberia next year! Tomsk is a town of great universities, where talented and inspired people gather. Remember! NTR Lab develops unique technology solutions that others can’t. Contact our CEO Nick Mikhailovsky directly at nickm@ntrlab.com to explore what we can do for your business.